In this post I show how to setup QtCreator from the SailfishOS Toolkit so that we can develop both for Harmattan and for SailfishOS from one IDE. If like me you want to port your Harmattan apps to SailfishOS, and wish to keep both versions running from a common project with a common code base, then it is very handy to be able to build run and launch our apps from one IDE in both Emulators side by side. 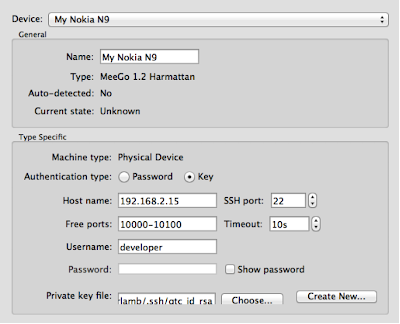 As a first baby-step in a migration it would be wise to get our existing apps running on the Nokia Simulator, Harmattan QEMU Emulator, and the physical device (e.g. 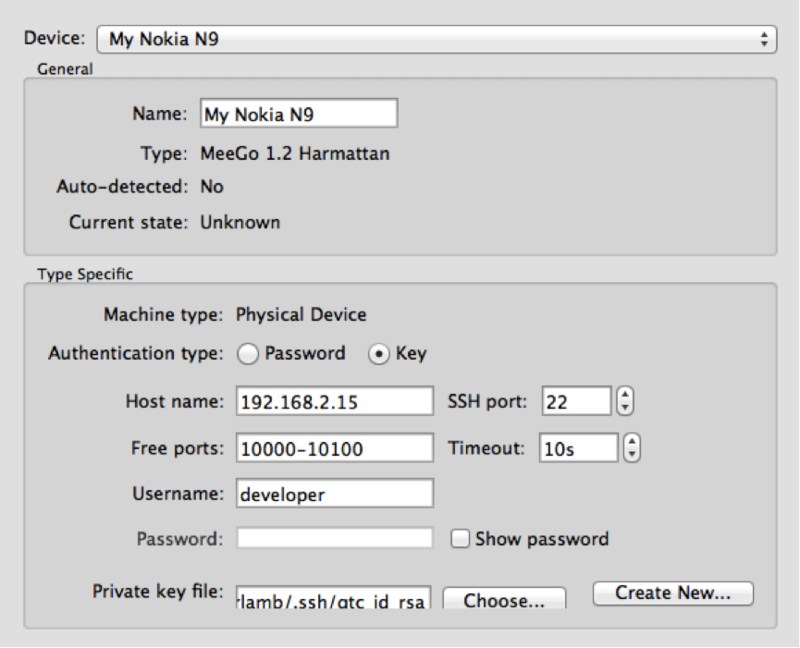 Nokia N9) from the SailfishOS Toolkit before we even think of touching the code to port anything. This follows the basic software engineering principle of only changing one thing at at time. In the context of this post I will use "Toolkit" to refer to the entire development suite including the IDE, Toolchain, VMs, Simulators and Emulators etc. Often SDK would be used for this, but in the Sailfish world the term SDK often refers to one element of the toolkit, namely the MERSDK virtual machine. The Nokia Toolkit used the host system to cross-compile to the Emulator, which meant the compiler differs from host to host. The SailfishOS Toolkit delivers an additional tool, namely the MERDSK Virtual machine which hosts the build chain. i.e the same compiler is used regardless of the operating system of your host system. The Nokia Toolkit delivered both a Simulator and an Emulator. The simulator was actually closer to the host than the N9, but allowed simulating of sensor inputs (e.g GPS signal, SMS etc.). 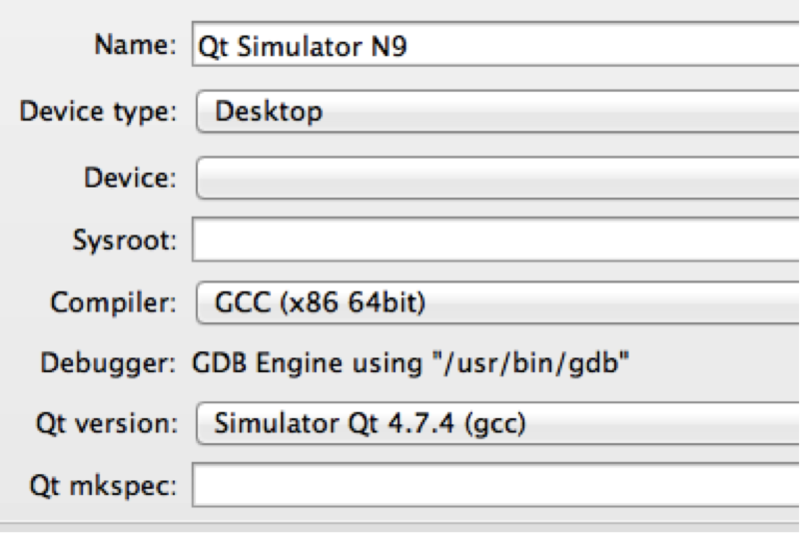 The Emulator was much closer to the end device, and was based on a QEMU virtual machine. The SailfishOS forgoes the simulator. 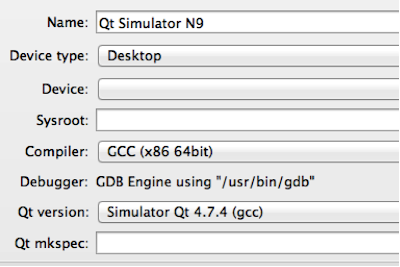 It delivers "only* an Emulator, running in a VirtualBox virtual machine. This should not be confused with the MERSDK mentioned above which also runs in an VirtualBox virtual machine. My primary development host is currently OSX (but I am NOT at Machead), so I will use that as a reference in the instruction below: but things will be broadly similar for Windows and Linux users. As I also have Win7 and Lubuntu Installations of the Sailfish Toolkit maybe I will add Win7 and Linux tips to this post at a later date. Even though we will be working only from the QtCreator that the SailfishOS Toolkit delivers, we will need to have both Toolkits installed: We will set up the Sailfish QtCreator to use the Simulator and Emulator from the Harmattan Toolkit. 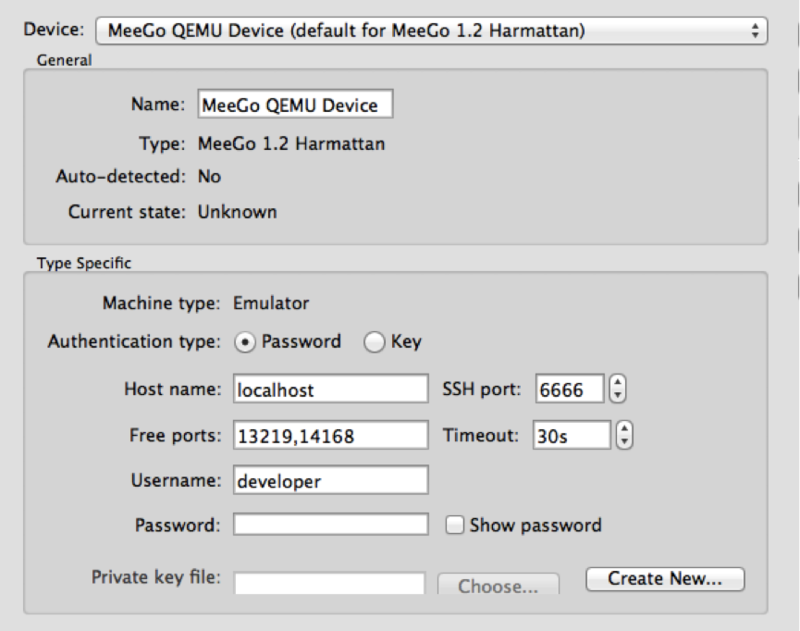 The first step is to add devices to QtCreator: Out-of-the-box you should already have the SailfishOS Emulator: We will add the Meego / Harmattan QEMU, and the N9. SailfishOS currently is based on Qt 4.8.3 which will be auto-detected, but Harmattan uses Qt 4.7.4, so we need to add 4.7.4 for the Simulator, and for the QEMU / N9. .. and then, Fingers in Ears Time: First Run on SailfishOS! The SailfishOS: Is unlikely to run first time - but give it a go anyway. 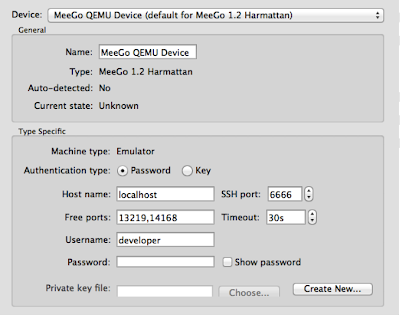 You will probably need additional packages added to the MERSDK and SailfishOS Emulator to run your Harmattan apps unchanged. More on that in a later post….